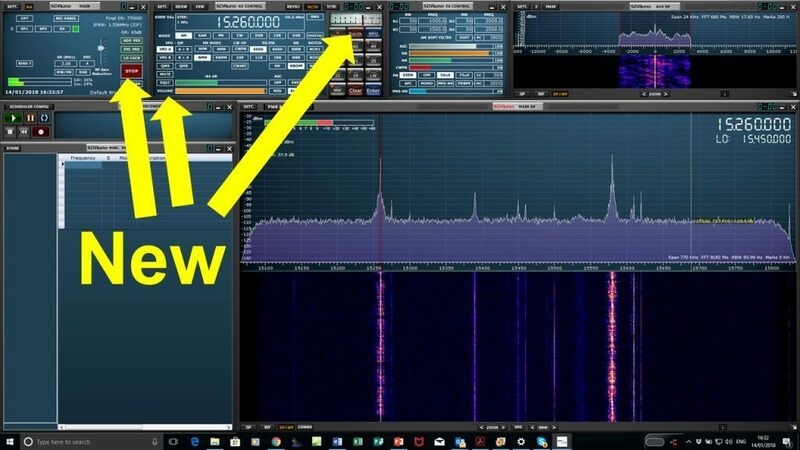 The official software package of the SDRplay range of products is SDRuno and it has recently been updated to version 1.22. SDRuno is also compatible with the RTL-SDR. In addition to some UI improvements for new users, the main changes are pasted below. What's also very interesting is their road map which states that future versions of SDRuno will have frequency scanning capabilities, a remote network streaming server/client implementation and an API for the support of third party plugins. This would improve it's capabilities similar to that of SDR#. • SP2 CWAFC drift issue (Zoom/window size/freq display) – will be addressed in 1.23, workaround for now is to zoom out fully in the SP2 window and then the CWAFC feature will work. Following on from the 1.21 release where we outlined the features for coming releases, we have updated our plans, as shown below. The purpose of publishing this information is to give people an insight to the development plans but it is NOT a guarantee of the exact feature line-up and we cannot give release dates. UPDATE: Mike Ladd from SDRplay has uploaded a video showing what's in the new version. I personally would like to see LNA based AGC, without any IF gains. In my experience, increasing IF gain causes amplifying any background noises, so I keep it at minimum all the time. In the hardware side I’d like to see one extra LNA for VHF+ and a real superheterodyne with high first intermediate frequency, like 200MHz, and a real SAW filter. It needs also much better antenna input separation. That would pump SdrPlay quality many steps upwards. Just downloaded it couple days ago, it’s amazing how much minor details can improve the whole experience! SDRUNO is pleasure to use now. I wish they added or at least planned adding something like DCD for decoding digital voice.